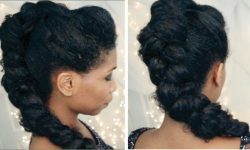 This braided triple knot updo is unique in its look. 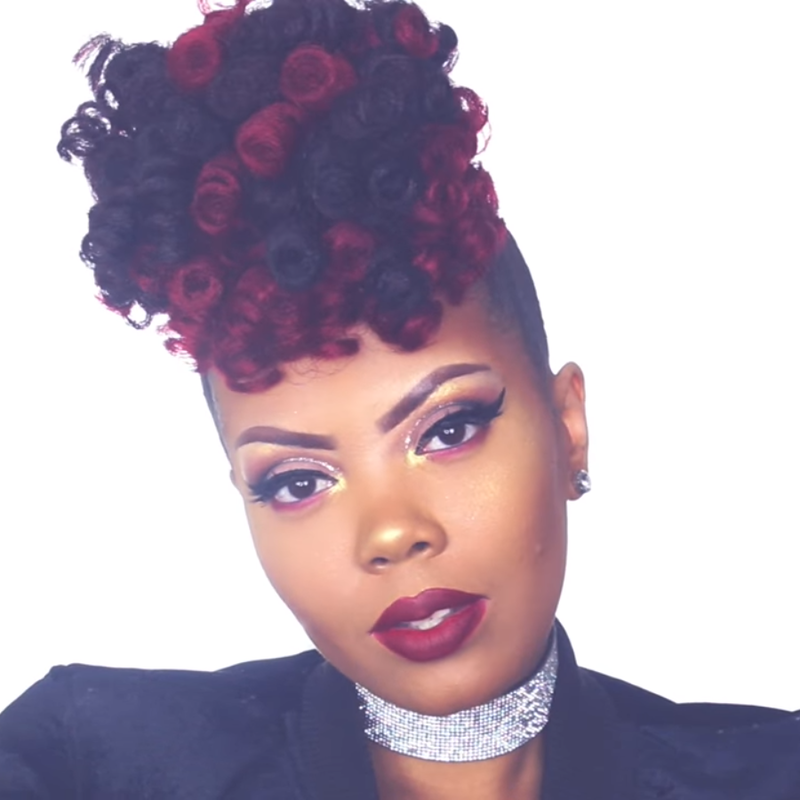 One beautiful aspect of this style is, the fact that you can own it by making it your own, add your own flavor to it with highlights, clips, patterns, or jewelry. 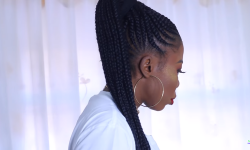 Here is the honest truth, there are varieties of elegant and interesting braiding methods to make every braided updo unique. 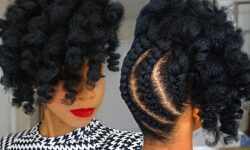 The hardest part is figuring out what to do and once you decide how you’re going to wear it, you can make those knot into beautiful hairstyles both for special parties and for your everyday look. 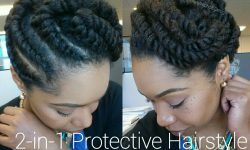 If that’s how you roll. 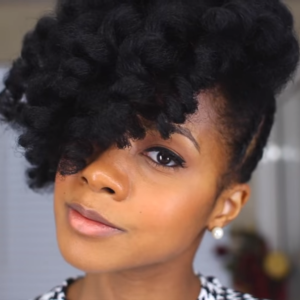 You don’t have to look for fashion shows for inspiration to wear this style. With braided updo hairstyles, it is easy to get inspired and want to try something new. It’s not like waiting for a new line of clothes to come out it’s instantaneous. 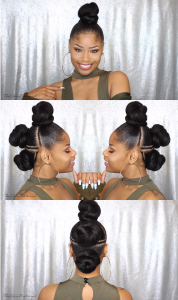 – Braidless Crochet Updo. 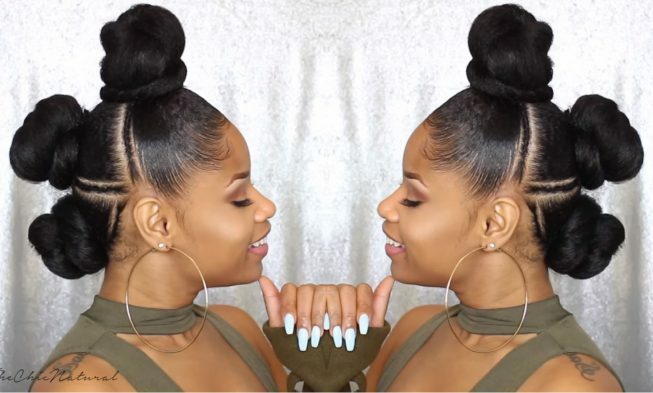 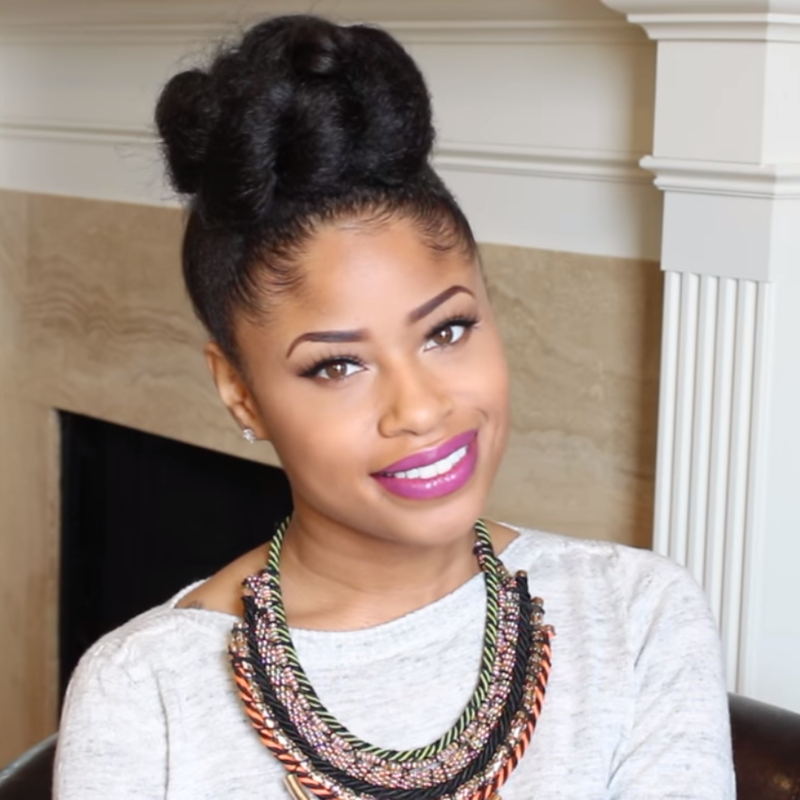 This high puff crochet updo is a great play on the rubberband natural hairstyle trend! 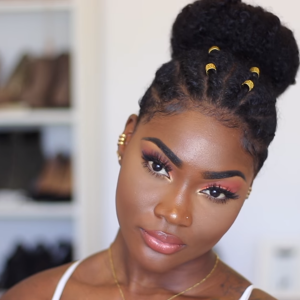 These are just a few that are trending this year that you can begin to implement in your braided updo hairstyles journey. 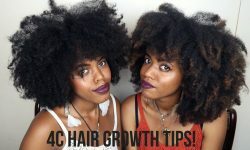 And, with so many styling options available you’ll find yourself rocking these styles frequently.